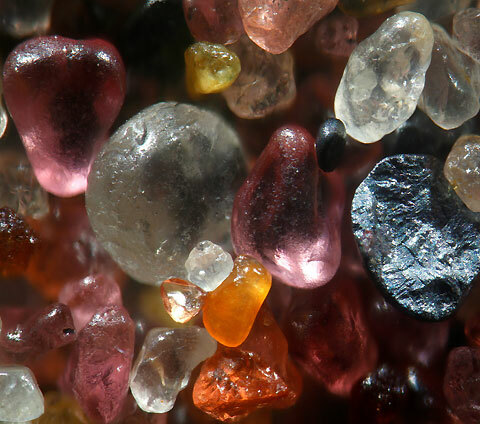 We’re blown away by these amazing macro-photos of grains of sand. 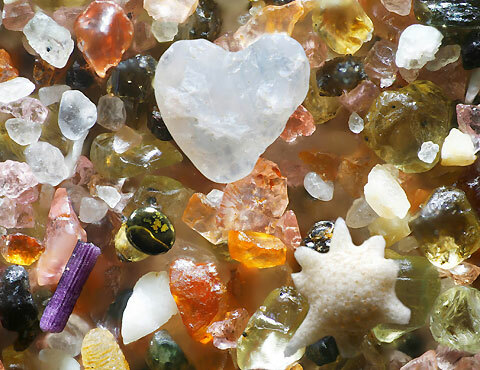 The photos are taken at a magnification of over 250 times real size and are a glimpse of the beauty hidden in each grain of sand. Taken by Dr Garry Greenberg, the colours are so unexpected and vibrant. LOVE this post roJO! How absolutely beautiful.